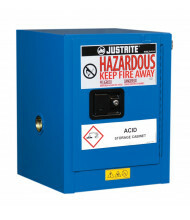 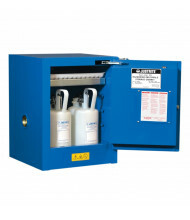 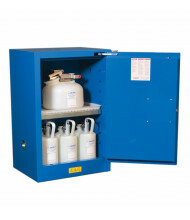 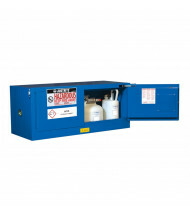 Save up to 40% today on Justrite hazardous waste storage cabinets for reliable hazardous liquid storage. 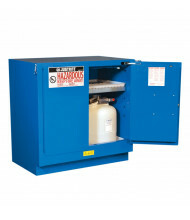 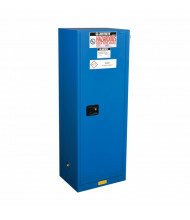 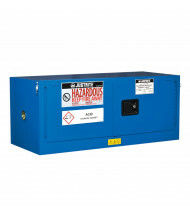 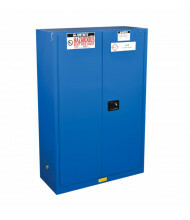 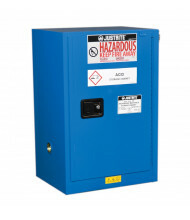 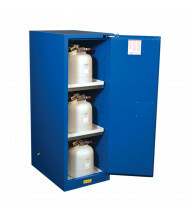 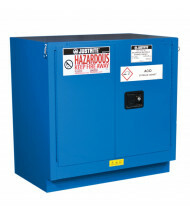 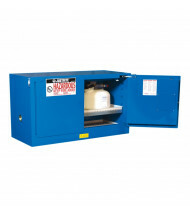 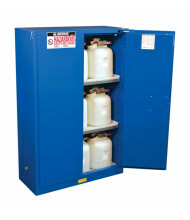 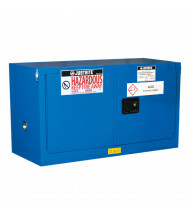 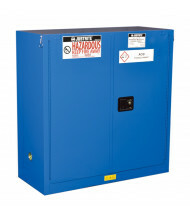 Durable, steel construction hazardous waste safety cabinets provide safe storage for potentially harmful substances. 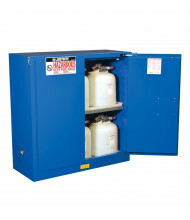 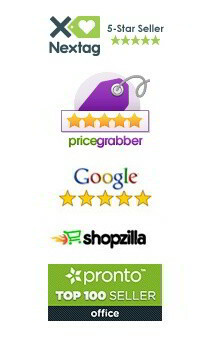 Multiple configurations available. 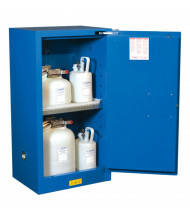 Cabinet door options include manual or self-closing with fusible links for added fire control. 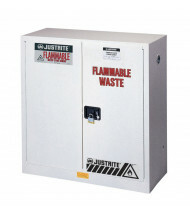 Self-closing doors meet fire code regulations common in western USA states. 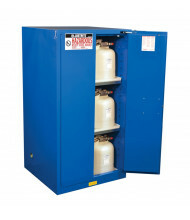 Available in blue or white powder-coat finishes.